Life can be interesting when navigating the world and understanding your fellow man and woman. Brothers are attempting to reach sisters. 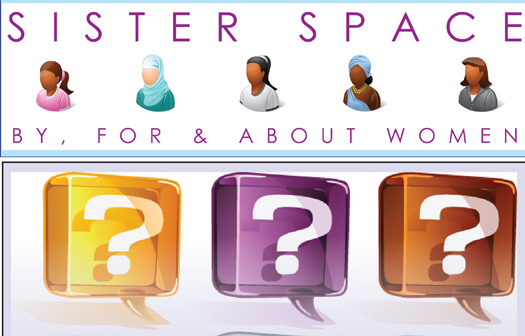 There are several questions that a sister at times wants to ask her brother. Compiled below are questions from a sister to a brother—with “brother” used as an respective endearing term to reference the Black Man. Why are you so quick to tell me who I am? Why is it my fault my brother’s pants are hanging low? Why are you telling me who to date? Why must I be instructed by you on how to be? My Brother can you ask me who I am? My Brother will you listen to what I want? My Brother can you hear me? My Brother can you see me? My Brother can you feel where I am coming from? My Brother why must I be a notch on your belt? My Brother why are you deciding to micro-manage my chastity? My Brother can I tell you what I think? My Brother can I show you how I view life? My Brother can we agree to disagree? My Brother can I walk down the street without you yelling objectifying comments toward me? My Brother why do you feel entitled to me and we are not married? My Brother why are you treating me like your property and you are not marrying me? My Brother why do I need to live with you before you marry me? My Brother why do you want to test drive me like the car you wish to buy? My Brother when can I be called a women and not a girl? My Brother when is it okay for me to be a woman and not girl? My Brother why do you call me derogatory names? My Brother why do you create negative names to reference me? My Brother why is it my fault you cannot move on from her? My Brother why is it my fault our child is born out of wedlock? My Brother why am I the cause of your problems? My Brother do you critically think about me? My Brother can you feel my struggles? My Brother can you be sensitive to my needs? My Brother can you not cheat on me even when I am going through my trials? My Brother can you be patient with my life progress? My Brother can you not tell me how to comb my hair? My Brother can you let me be me? My Brother can you not put me down for being myself? My Brother can you not see me as a sexual object? My Brother can you treat me respectful just because? My Brother can you like me for me and not my body parts? My Brother can you work with me and pay me my worth? My Brother can you stop calling me bad names? My Brother can you see me as a person like you? My Brother can you support me through the ups and downs? My Brother can I get a break or a pass sometimes? My Brother will you lend a helping hand? My Brother can you not want to be physical because I was nice to you? My Brother can you see me for the content of my character? My Brother can you be still? My Brother can you learn about me by asking me questions? My Brother can you stop making assumptions about me? My Brother can you be calm about talking to me? My Brother can you not dictate to me how to be? My Brother can you not stand in the middle of the sidewalk? My Brother can you not grab my arm or hand to get my attention? My Brother can you ask my permission and respect my answer? My Brother can you release your fears? My Brother can you talk out your emotions? Just some questions for my Brother. Raven Smith is a Chicago-based entrepreneur and writer.